At the core of Norse Mythology—and any academic or spiritual delve into the lore of the Vikings—are the stories themselves. The lore was preserved in the form of Eddas and Sagas; therefore, any scholar or person with interest in Viking books needs to start with the Poetic Edda, the Prose Edda, and the Icelandic Sagas. Due to the importance of these texts, there are many different translations available—some are older translations, some more modern, some translated for poetry and readability, and others for accuracy. I don’t have a strong opinion on which version you should read. Just get ahold of one and start reading! The first book I recommend is written by H.R. 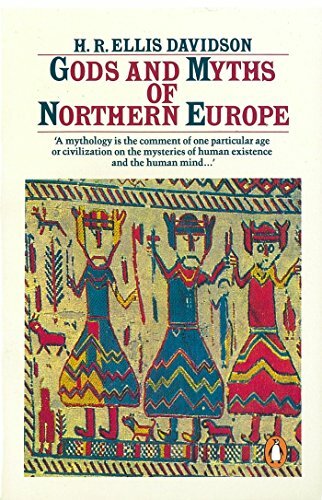 Ellis Davidson titled, “The Gods and Myths of Northern Europe.” First published back in 1964, Davidson was a preeminent historian and scholar of Norse and Germanic mythology in her time. In “The Gods and Myths of Northern Europe,” she explores the myths and where they came from. She does a thorough job of going beyond the base of the lore as presented by Icelandic historian Snorri Sturluson by asking questions and looking at archeology to paint a larger picture. Due to the book being over 50 years old, some of the scholarship may be dated, but it is still an excellent book. 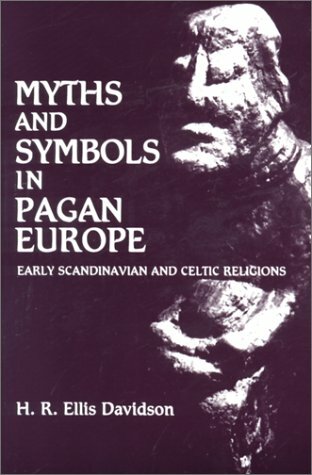 Another interesting read by Davidson is “Myths and Symbols in Pagan Europe.” In the book, Davidson compares early Scandinavian and Celtic religions. I personally enjoy looking at all the ways humanity is similar. There are certain things in our nature that—regardless of culture, language, and time—we find ourselves drawn to do. In this book, we get to see such lovely imagery and comparisons of two fascinating ancient cultures that were also neighbors. In my opinion, it is a wonderfully eye-opening book, and if you like Celts and Vikings, it is worth your time to give this book a read! Normally I’d say two-for-one is cheating but these books are massive. Both books number at over 550 pages! “Our Troth” moves a bit out of the academic category and more into the spiritual. That said, never before (or since!) 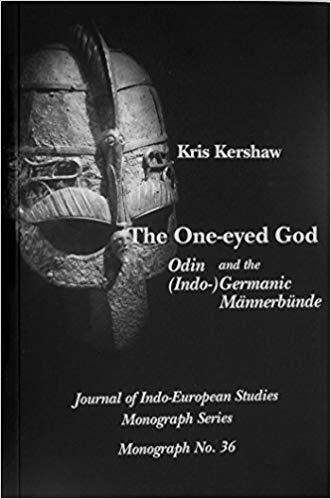 has such a comprehensive book detailing the lore, history, and religious practices of both ancient and modern heathens been compiled. 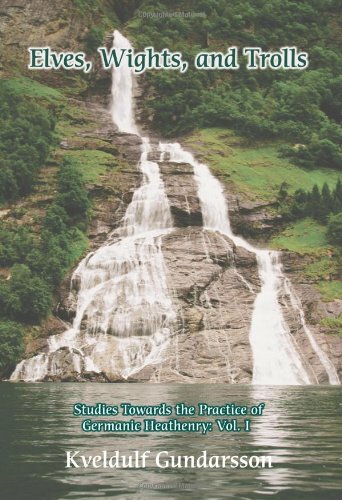 Volume One focuses on the history of the Germanic people starting with the Stone Age and working its way through Viking and even Modern times. Then the book goes through all the Gods and Goddesses, Giants, Spirits, and includes a section on Heathen Virtues. 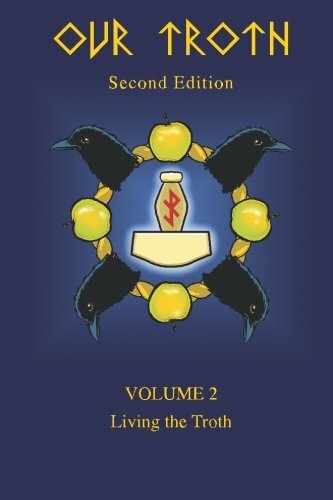 Volume 2 focuses more on the day-to-day aspects of worship, ritual, holidays, and holy rites. Between the two volumes, you have some really juicy meat to sink your Viking teeth into! I’ve read both volumes and continue to refer to both books for inspiration when working on Fateful Signs. This is the first dissertation I have read cover to cover. It’s one of those moments when you realize you are in deep. I know many people don’t peruse academic research papers for fun, but Kris Kershaw’s book is so great that it was a pleasure to read. The book examines the nature of Odin and his connection to teenage youths as they move from adolescence to manhood. The book comes to some pretty big conclusions at the end, but Kershaw does back her stance with several hundred pages of research material. Regardless of how you feel about her conclusions, the book is an excellent read. My copy is full of highlighted sections that I refer back to often and continues to be a source of inspiration for my art. When talking about Norse Mythology, Viking Lore, and books, invariably the Runes will come up. 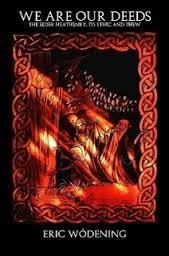 The legends around Odin and his quest for the Runes are so central to the stories within Norse Mythology, how could one not want to know more about them? A lot has been written on the Runes, and honestly much of it is not based on academic research. Before one goes off on a journey of magical exploration into the Runes, I highly recommend learning the history of the Old Norse language and its alphabet, the Runes. Stephen Pollington’s book, “Rudiments of Runelore,” is the perfect place to start. It is straightforward, easy to read, and grounded in academic research and history. 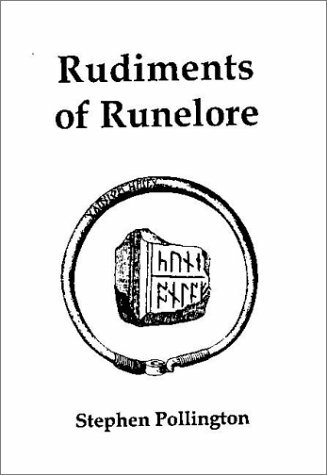 From there, whatever you choose to do with the Runes is on you, but “Rudiments of Runelore” is an excellent foundation and a book I recommend. 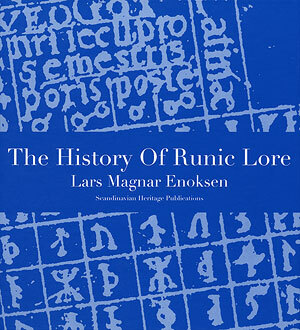 In a similar vein to the last book, Enoksen’s “The History of Runic Lore” is an excellent foundation to any scholar’s study of the ancient Viking Runes. What I especially love about this book is all the wonderful illustrations of historic texts and artifacts that Enoksen includes throughout his book. It’s shocking how little information we have on the Runes, and I really appreciate how clear and concise this book is. If you think you know the Runes and haven’t read this book, you might be surprised at how wrong you are! I know I was. I have always been fascinated by stories of the spirits and folklore of the Northern European people. With all the books dedicated to faeries, elves, and their kin, I know I’m not alone in this fascination. In “Elves, Wights, and Trolls,” Gundarsson investigates the history surrounding the folklore of the various creatures that populate the books and stories of the Germanic people. The term Wights is the Germanic word for spirit. This book is a wonderful collection of lore on the spiritual creatures that in many cases outlasted the Gods and Goddesses in the minds of the Northern people and their kinfolk. The later section of the book does get a bit esoteric, and I know for some, that sort of thing distracts from the research being discussed by Gundarsson. I can take it or leave it, but personally I find ritual insight fascinating. The magical information is easy enough to ignore if you want to remain focused in folklore. All in all a good read! 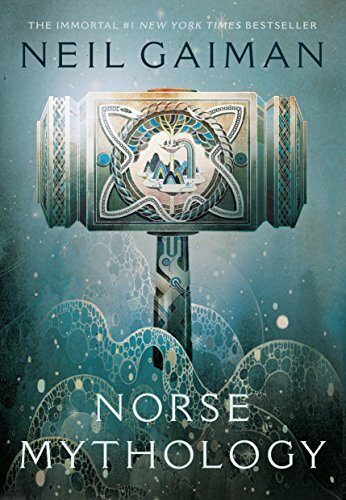 If you’re like me and have a deep desire to understand the culture that created Norse Mythology and you do not shy away from research, then this is a book for you. One aspect that comes to mind when reading the ancient lore is trying to understand the mindset of the people who wrote and lived those stories. As modern readers it’s easy to hold the past to our ethics, but to do so does a disservice to our ancestors and the knowledge they can pass onto us through books and lore. In “We Are Our Deeds,” Eric Wodening hopes to shed light on the ethics and values of the ancient Germanic people. I personally found the book fascinating and would recommend it to anyone trying to understand the past in order to grow the present. Some books are an appetizer, others a meal, but we all enjoy a good dessert; and that’s what “Norse Mythology” by Neil Gaiman brings us. I listened to the audiobook version as I drove my daughter back and forth to school. It was a wonderful experience both in bonding with my daughter over stories we both love and listening to a delightful modern retelling of the ancient lore of the Vikings. One of my favorite parts of the book is that Neil encourages each of us to tell these stories around a campfire and to share our own versions with friends. I love this idea and think it’s important we all remember that stories have life and deserved to be told. Change a bit here and there and make it your own, because in the end these are our stories, the stories of our ancestors, gods, and heroes—they belong to us all. So like Mr. Gaiman, go tell your version of Norse Mythology; hel, even write a book! In addition to the 10 Norse Mythology books I recommend above I’d also suggest "Culture of the Teutons Vol. 1 & 2" by Vilhelm Grönbech, “Germania” by Tacitus, Gnomes by Wil Huygen, and of course I'd recommend you check out "The Illustrated Hávamál" and "The Illustrated Voluspa,” from Fateful Signs! Sam Flegal is the creative mind behind Fateful Signs. He has been a freelance Illustrator since 2009. He likes to work in oil paint and with brush and ink, focusing on exaggerated expressions and detail. Sam lives in Nashville, Tenn., with his lovely wife and daughter. He makes art almost everyday and is a very lucky man.